They say he is the best bandoneon player in the world - ever! Here's a fascinating video portrait of Dino Saluzzi, who many bandoneón players, including my friend Joaquin Amenabar, say is the best bandoneon player in the world ever! 'Dino Saluzzi - a Short Portrait' by Swiss film director Pierre Yves Borgeaud is a great introduction on the bandoneon itself, and how it is played. But the video offers more than that - you will hear Dino's beautiful music and his thoughts on music, art and life (which bought tears to my eyes). Not only a virtuoso musician, Dino is also a highly philosophical and spiritual man. He is a beautiful human being. This video is truly a feast for the ears and the heart! Dino (whose real name is Timoteo Saluzzi) was born on May 20, 1935 in the Province of Salta. He is the son of Cayetano Saluzzi the popular composer and instrumentalist of carpero music.1 Inspired by this musical legacy, Dino started playing the bandoneon, one of the most challenging instruments, in his early childhood. 'Other than his father, he was influenced by Salta musicians such as Cuchi Leguizamón, and by the lyrical strain of the tango of Francisco de Caro and Agustin Bardi. Dino described the vividness of his musical sketches as "an imaginary return" to the little towns and villages of his childhood. Saluzzi's recording career started in the 1970s and has flourished since then. Also a composer, his compositions include music for Almodovar's film 'All about My Mother' and Jean Luc Godard´s 'Nouvelle Vague'. 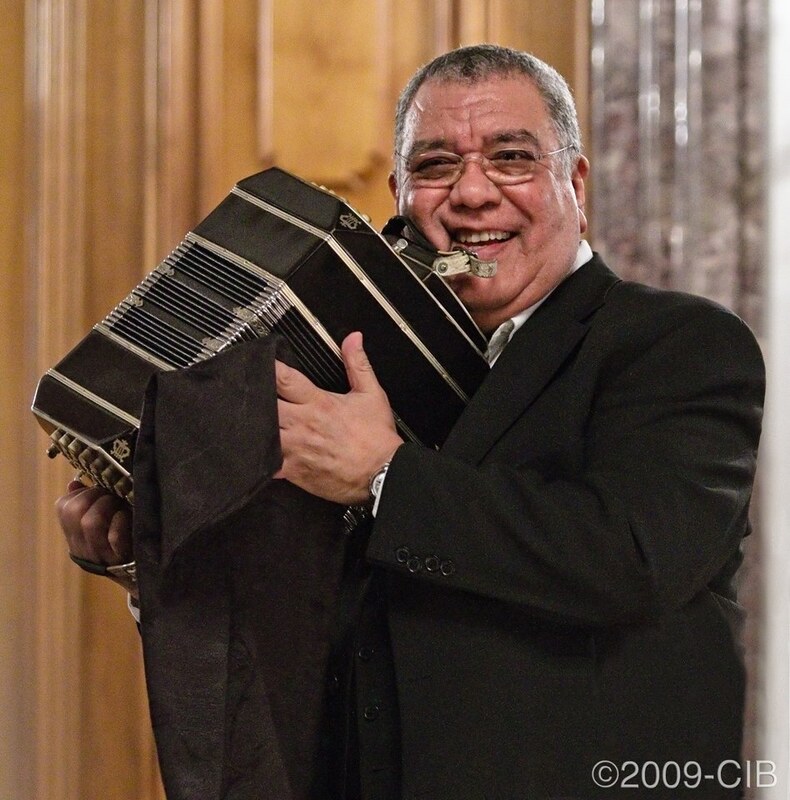 Unlike most at his stage in life, this extraordinary bandoneonist, who turns 80 next May, continues to grow and refine his craft. That he continues to make such beautiful music is something to be cherished and celebrated! 1 a type of folkloric music popular in the North of Argentina.